Financial analytics software carries out robust data analysis on investment-related data sets. Investment managers use these solutions to pull all investment portfolio data and then query and manipulate it to answer investment-related questions. Investment and fund managers leverage financial analytics software to build reports, identify potential investment opportunities, and vet those opportunities. Financial analytics software often offers customizable tagging features that allow users to tag and store data in whichever way they need. Investment professionals use solutions in this category to evaluate past investment decisions, monitor current holdings, and strategize future investments. Financial analytics software is a part of the financial services software ecosystem. These applications often import investment data from third-party sources. Financial Analytics reviews by real, verified users. Find unbiased ratings on user satisfaction, features, and price based on the most reviews available anywhere. Wealth-planning technology for financial professionals who want the robust platform capabilities of the emX Select Platform, with the addition of eMoney’s in-depth business Analytics, interactive Needs Analysis and Goal Planner capabilities. RightCapital is a financial and tax planning software solution. 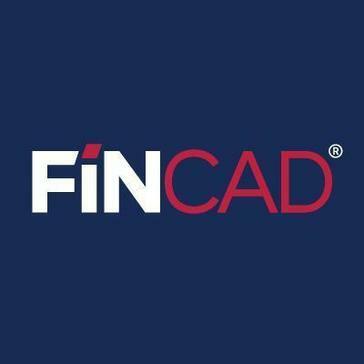 FINCAD provides innovative and trusted financial analytics to Asset Management & Hedge Funds firms, Insurance & Pension companies as well as other large organizations worldwide. F3 delivers a comprehensive, highly flexible, and scalable solution for pricing, valuation, and risk challenges across the enterprise. Specializing in funds/strategies including: FX, Rates, Derivatives, Fixed Income, Global macro and multi-strategy. Agilis Investment Management is a investment management software offers investment accounting, includes customer management, KYC, risk profiling, model portfolios, performance Mgt, and analytics. 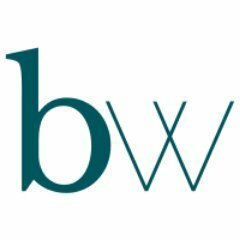 Butterwire is your personal AI equity analyst - fundamental, macro and quant analysis. Better equity returns, lower risk, less trading. Clearwater is an automated data aggregation and reporting solution for investment portfolio data. Earnix provides an analytics-based end to end pricing and personalization software-as-a-service suite designed for the Financial Services industry. By applying advanced analytics to pricing and product bundling decisions, the Earnix product suite, with its embedded dynamic rating engine, helps Financial Institutions maximize business key performance indicators (KPIs) in real time while offering personally-bundled products at the right price. Access best-in-class analytics for multi-asset class performance, attribution, and risk. Integrated Capital Engine is a web-based software that analyses portfolios, generates proposals, makes up theoretical illustrations. InvestWorks is a comprehensive, easy-to-use analytical tool used widely by institutional investment consultants and investors for evaluating money managers and analyzing investment performance. Invoke FAS Compta-Report is a reporting solution that interfaces with all accounting systems on the market to produce standardized reports and IFRS statements. Kensho Financial Analytics Software deploys scalable analytics systems across the most critical commercial institutions in the world. MyABCM offers customized solutions for managing costs and profitability and controlling expenses. It provides a complete modeling environment so is possible to can translate data from financial and operational systems into accurate, relevant information that managers can understand and use to facilitate better decision-making. The Northstar platform helps hedge funds manage risk, evaluate performance, and effectively communicate with investors. Northstar is not just, it is a service. At Northstar, our experts will fully integrate your back office systems with our risk and performance platform. Northstar is faster, easier to maintain and more accurate, saving you time and money. This is truly as a service. With Novus attribution platform, you have access to absolute and relative contribution, batting averages, win/loss and slugging ratios that span your entire portfolio history, all in one platform. Perform For Private Clients helps you to analyze your portfolio and adapt to an ever changing market. Our powerful portfolio management tool is designed specifically for managers in the private wealth management segment of the bond industry. We provide decision functionality for trading in multiple portfolios; compliance; the ability to drill down from portfolios to bond holdings (and back; and flexibility to sort accounts in a variety of ways. Zephyr StyleADVISOR is the investment industry's most comprehensive performance analysis software. Institutional allocators representing over $1.7 trillion in assets leverage our award-winning to perform exposure, risk, liquidity, attribution, and private equity modeling analysis across multi-asset class portfolios. The user-friendly platform provides allocators with all key components of the investment decision process in one centralized tool. TraderXL Pro is a financial risk management software, and includes features such as portfolio management. Connect financial and nonfinancial data from diverse sources with Wdata. Unify, enrich, and explore data. Leverage prepared data for reporting and analysis. Manage massive amounts of data centralized in a single cloud platform. Hi there! Can I help you find the best Financial Analytics solutions?